Marion Meadows is eclectic. In his own words, “he’s always been a Gypsy and a daredevil.” His latest album, “Soul Traveler,” is truly symbolic as the soundtrack to his life. Meadows worked with Carlo Pennisi to write all original songs–albeit, with a little resistance. 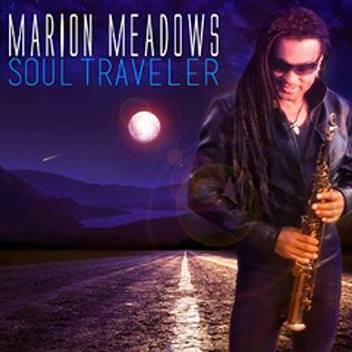 Although thinking outside the box is how Marion usually operates, it took a little more urging on behalf of Pennisi to bring “Soul Traveler” into existence. He describes the evolution of “Soul Traveler” much like a blooming flower. Meadows amorously says that “he loves the people he works with.” Graciously, he was joined by longtime friend and fellow saxophonist, Najee, Elan Trotman, Vincent Ingala, Juan Benevides, Phil MacArthur, Joey Sommerville, Kyle Turner, Ragan Whiteside, Toni Bias, and Lamar Gaines. Unwittingly, unknowingly, and with all of himself, Marion created a record that his fans will relish.